Rent and utilities are deductible under certain conditions. 1. Can I Deduct the Amount Spent to Travel to Work From My Taxes? Utilities and rent paid on a business location, such as a retail store or office, are deductible business expenses. However, the Internal Revenue Service considers rent and utilities as personal expenses, which are typically not deductible items on your income tax return. Only in very special circumstances can you claim rent and utilities as a tax deduction on your personal return. If you use part of your home for business reasons, you may be eligible to deduct a portion of your rent and utilities. The work area must be clearly delineated, although it does not have to be an entirely separate room. You must conduct business there on a regular basis rather than just occasionally. You must prorate the bills based on the total space devoted to business divided by the total size of your home. For example, if you devote 750 square feet of a 3,000 square-foot home to your business, you can deduct 25 percent of your rent payments and utility bills. You can deduct rent and utilities you pay when you are traveling away from your tax home for business reasons. For example, if you work in Dallas and your company sends you to San Francisco for six months to attend a special school or asks you to work at a client site in Cincinnati for three months, you can deduct your temporary housing costs. You cannot deduct any portion for which you are reimbursed. 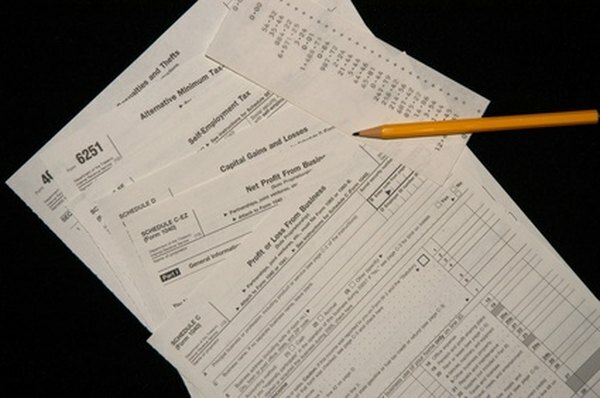 Your tax home is generally the metropolitan area in which you live or normally report for work. The IRS does not specify a precise distance, but the temporary location must be far enough to make a daily commute impractical. Your assignment must be for a definite time, which cannot exceed one year. Under certain circumstances, you might need to travel for medical reasons, either as a patient yourself or to accompany one of your dependents. If the only reason for the travel is to receive medical care, you can take a deduction for lodging not provided by the medical facility. The IRS does not differentiate between motel bills and rent and utilities paid for a short-term lease. However, the expenses cannot be extravagant or luxurious, and the dollar amount is limited to $50 per night per person, with a limit of two people, making the maximum allowable deduction $100 per night. The patient must be under the care of a licensed doctor, hospital or facility. You cannot combine recreational or personal elements with your travel for medical reasons. If damage to your home forces you to secure temporary housing, you cannot include your rent and utilities as part of your casualty loss deduction. Your renter’s or homeowners insurance might cover the expenses, however. Although not a tax deduction, if your loss is due to a disaster and the federal government declares the area as eligible, you can receive temporary housing assistance from FEMA to rent a temporary home. Payments you receive from FEMA are tax-exempt.